According to reports, to Feliciano Mendez’ delight, Bank of America sent him a letter stating that his loan modification was approved. Of course, he began making payments, as this was most certainly a great relief to he and his family. Like many other hard working Americans, he ran into financial hard times because of a decline in his trucking business. Feliciano stated that he begged the bank to work with him. Bank of America sent him a loan modification that looked good, so he signed it and sent it back to them. Sometime later, Bank of America sent him a second loan modification document. It looked just the same to him and he says his loan officer assured him that it was simply a duplicate loan modification and therefore, he didn’t need to sign it if he had already signed the first loan modification. Well for the next nine months, Feliciano Mendez paid the loan modification amount with a money order, as the bank had directed. 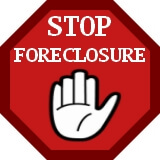 Loan Modification Ends in Foreclosure Anyway – What?? He then called in May, asking whether he could start paying the loan modification with personal checks instead the money orders he was sending. Mendez says that the bank informed him it had decided to foreclose on his home and had already posted a sale date of June 10. Needless to say Mendez said he and his wife were shocked when he was found out about the bank’s decision. Actually his wife took it harder then he did. Even today, he said, his wife loses sleep, can’t concentrate on work and sometimes can’t bring herself to answer the front door because she is so distraught over the possibility of losing her home. Mendez successfully filed a lawsuit, which temporarily blocked the foreclosure. But lawyers for Bank of America are trying to dismiss the case. Mendez’ attorney, Brian Andrews, said Bank of America blames the foreclosure on Mendez [what else is new!] They say that it was his failure to sign the second agreement for loan modification. However, Andrews says that before filing suit, he called four (4) Bank of America employees and they all confirmed Mendez’s account – that he had been told not to sign the second set of loan modification documents since he had already signed the first set. Andrews stated that they say it’s all a ‘mistake’ on the part of the bank. Are you thinking about doing a loan modification? Well, please think again and watch you back. Do your best to not let this happen to you. Instead of, or along with, a loan modification, you may have other avenues. I provide a Free No Obligation review of homeowner’s loan documents to help you with other options and lots more. Are you thinking about doing a loan modification? FORECLOSURE PROOF? 62 MILLION HOMES – REALLY? MERS 62 Million Homes May Become Free and Clear Some Day! Yep, it’s true it’s my understanding over 62 million homes are currently held in the name of MERS [Mortgage Electronic Registration System]. This is a system that was concocted by and for the benefit of the mortgage industry. A bankruptcy court in California recently ruled that this electronic shortcut makes it not possible for banks to prove and establish their ownership of property titles; therefore they can not foreclose on mortgaged properties and this decision was made following landmark cases in other jurisdictions. Bundling mortgages into securities were a favored type of investment of speculators at the height of the financial bubble which led to the crash of 2008. Oftentimes, the securities changed hands numerous times, and to top it off it seems the companies profiting from the mortgage payments were all to often not even the same parties that negotiated the loans with the consumers. May I add – it’s probably way over 62 Million Homes too. Now, you guessed it, at the center of this disconnect was the Mortgage Electronic Registration System, or MERS. MERS is a company that acts as the mortgagee of record for lenders, which allows properties to change hands without the necessity of recording each transfer. That, in case you didn’t know, is a big 62 Million Homes of NO NO! Oh sure, MERS was very convenient for the mortgage industry. However courts are now questioning the impact of all of this financial juggling when it comes to who owns the mortgages of the 62 million homes. And rightfully so. FYI: In order to foreclose on real property, the plaintiff must establish the chain of title thereby entitling it to relief. Yet, MERS has acknowledged, and recent cases have also held, that MERS is just a “nominee” — which means it’s an entity appointed by the true owner simply for the purpose of holding property in order to facilitate transactions. The great news is, that recent court opinions stress that this defect is not just a procedural one but is a substantive failure, one that is fatal to the plaintiff’s legal ability to foreclose on a possible 62 million homes. What does this mean? It means that hordes of victims of predatory lending could end up owning their homes free and clear – and the financial industry could end up falling on their on sword. Maybe you are one of the 62 million homes. I offer a Free – No Obligation Consultation And Audit of your mortgage situation. Do you think you may be in one of the 62 million homes? Author Guy ChattingPosted on August 27, 2010 Categories MERS 62 Million HomesTags 62 million homes, avoid foreclosure, foreclosure assistance, foreclosure expert, foreclosure help, help to stop foreclosure, MERSLeave a comment on FORECLOSURE PROOF? 62 MILLION HOMES – REALLY?